The New York Distilling Company was founded by Tom Potter and Allen Katz in December 2011. They are "Cocktail people making spirits for cocktails". Their spirit range currently includes a family of gins and a couple of Rye whiskeys. Their innovation is clear to see in their Chief Gowanus Gin, where they take their double distilled Rye whiskey and distill it a third time with juniper berries and Cluster hops. Three months in an oak barrel and it is ready for bottling. 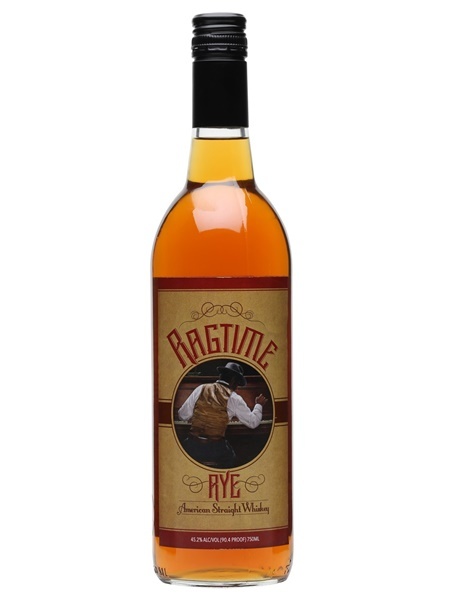 Ragtime Rye (~€53) harps back to pre-prohabition days of the Ragtime musical genre. It's an American Straight Rye, meaning it has been distilled from a mash-bill of at least 51% Rye and aged in charred, new oak barrels for at least two years. The New York Distilling Company use New York state grown rye for Ragtime Rye, which makes up a heafty 72% of the mash-bill. Corn and malted barley make up the remainder. Ragtime Rye is bottled at 45.2% ABV.